Most, if not all, of us have heared and read about our so-called colonial mentality. For those who have not, please check out the essay (click on) : Our Colonial Mentality and Its Roots whereby Mrs. Leticia Constantino has profoundly expounded on it. However, this post will address certain aspects or indications of colonial mentality that are more banal --with less breadth and depth -- and oftentimes topics of idle conversations among us native, Malay Filipinos. They are quite interesting and do help in learning, knowing and understanding about our developed/so-called Filipino culture and ourselves. Colonialism brings with it cultural imperialism. When the colonizers arrived, their beliefs and values were imposed on the colonized people, i.e. via education, etc. In the long run, a colonized individual may develop a colonial mentality whereby the colonist's culture is seen as superior to his; thus accepting that his own, indigenous one is inferior. This feeling of inferiority may affect the colonized at various levels: denigration of oneself, denigration of one's culture as mentioned, discrimination against those less westernized, acceptance of his own ethnic oppression. The characteristic divisiveness among us Filipinos may partly be traced to colonial mentality based on where one stands in the color spectrum: how dark or darker one is. We native Filipinos are mostly dark-skinned. That is why the American soldiers called us natives: "niggers" during the The Philippine-American War (The First Vietnam) . Furthermore, the native Filipino with such mentality may have developed low self-esteem because of his physical appearance (compared to the colonizer). So he tries hard to change his physical attributes to appear more like his colonizer. In terms of mental health, some studies in clinical psychology indicate a strong correlation between colonial mentality and low self-esteem, found among native Filipinos in the Philippines, Filipino-Americans (and/or Filipinos in other western/developed countries) which in extreme cases may lead to self-hatred and/or personal depression. Colonial mentality as used here refers to the cultural notion of inferiority sometimes seen amongst populations of previously subjugated and colonised by foreign entities. And we native Filipinos, knowingly or unknowingly, exhibit such inferiority through certain beliefs, attitudes and behaviors.. When a colonial power is strong, and cannot be effectively resisted, often a population may have to simply accept the rule of the foreigners as an inescapable reality. As time progresses, these colonised natives will sometimes procede to mimic the foreigners in power as they begin to perceive the "foreign way" of doing things and acting as different, and since the foreigner is also in power, the foreign way comes to be seen as the "better way." The foreign way is then held in a higher esteem than previous native ways. In much the same fashion and with the same reasoning of "better-ness," the colonised soon equates the foreigner's racial strain itself as being superior to the native strain. The native soon strives to "marry up" and give their children a better standing in life than just their native genes. In the Philippines colonial mentality is most evident in the biased favoritism for Filipino mestizos (mixed Caucasian/Malay or Chinese/Malay) in the entertainment industry and mass media which they have saturated disproportionately despite being the smallest minority in the country. Of the current Philippine demographics; Caucasian-based mestizos account for only 1%, those with significant amounts of Chinese ancestry to be classified as Chinese-mestizos are estimated at around 2%, while unmixed native Filipinos constitute 95% and number over 80 million. The biased favouritism responsible for their overwhelming presence in film and television is deeply-rooted on established Filipino "Ideals of Beauty" that are determined based on the possession of at least partial European ancestry, an ideal that stems from colonial concepts first introduced by over 300 years of Spanish colonial rule, then by a further generation of Anglo-American occupation. One of the more adverse physical consequences in the idealization and acceptance of the racial concepts of colonial mentality can be seen in the high rate of consumer demand for skin bleaching products in the Philippines. Skin-whitening creams have for a long time been popular and widely used in much of the Philippines for the lighting of Filipino skin tones - a South East Asian Malay people - which is inherently darker, in order to achieve the much sought after "mestizo look." The products are used primarily by women who have succumbed to the Filipino ideal and colonial doctrine of the idealization of mestizo beauty to the greatest extreme. The consumers of these products, whether conscious or subconsciously, are following the dangerous edict on beauty by continuing to use those products despite the extremely hazardous side effects to their health, including a high risk of various cancers due to many of its active ingredients, including mercury. These products have been banned in the USA, but their sale and demand in the Philippines continues to be widespread. Colonial mentality is also at the root of a long established Filipino tradition of ethnic forgery used in the attempt to conform to the idealized mestizo pedigree dictated by the former colonial Filipino socio-racial hierarchy. This ethnic forgery is characterized by the habit of many Filipino families and individuals claiming mestizo status. It is often accompanied by handed-down oral accounts of a presumed Spanish great-great-grandfather or mestiza great-great-grandmother with no evidence other than a Spanish surname. However, unlike the people of the Hispanic world, of the millions of Spanish-surnamed Filipinos, few families in the Philippines actually received their Spanish surnames from an actual Iberian ancestor. The overwhelming majority of Filipinos with Spanish surnames acquired them as a result of the "Catálogo Alfabético de Apellidos" or " Catalogue of Surnames" decreed to be imposed on the entire Filipino population by the Spanish royal courts in order to facilitate record-keeping and tax collecting. This preocupation among Filipinos with identifying as anything other than Filipino also takes on a new form known as IMSCF Syndrome among Filipino Americans in North America and other western countries with expatriate Filipino communities. IMSCF Syndrome is a non-academic term that relates to a unique form of institutionalised identity crisis resulting in a phenomenon of ethnic forgery amongst overseas Filipinos. It is most common among Filipinos residing in Western countries such as Filipino Americans in the United States, as well as Filipinos in the United Kingdom, Australia, Canada and Europe. IMSCF Syndrome specifically refers to the tendency of many Filipinos, when questioned about their ancestry and national origin, to recite the phrase "I'm Spanish, Chinese, Filipino." The name of the syndrome itself is an acronym formed from the first letters of this recited phrase. The symptoms of those afflicted by the syndrome are said to be detected when Filipinos of no Spanish and/or Chinese ancestry whatsoever claim to be a mixture of these ancestries; usually in the precise descending order of Spanish first, Chinese second and Filipino third. This tendency is said to stem from the aspiration of Filipinos to better their perceived pedigree to conform to the standards and ideals of their adoptive countries. Views on the origins and prevalence of the syndrome are attributed to the negative international image of the Philippines and to the lack, or invisibility, of Filipino role models in America and abroad for expatriate Filipino communities. As a result of this, numerous Filipino American youth are often said to downplay, deny or outright fake their ancestry. The origins of the syndrome, however, can be traced further back in history to the already existing colonial mentality phenomenon of the Philippines, and can be viewed as a manifestation of this mentality taken on a new form in their new places of residence. Because of IMSCF Syndrome, there is a not too uncommon view held of Filipinos and their lack of having any Filipino pride at all. They may sometimes be seen as being all to readily anxious in classifying themselves as anything other than Filipino, or at the very least not as a pure Filipino. Many other Filipinos further attempt to identify as Hispanic so as to avoid aligning themselves with, or "worse yet" identify as, Asians. In Hawai'i, many non-Filipinos may even look down on Filipinos for this perceived lack of pride in their true Filipino origin. This causes the further complication in Hawai'i of some Filipinos altogether erasing the Filipino element from their itinerary of ancestries and replacing it with native Hawaiian by saying; "I'm Spanish, Chinese and Hawaiian." The topic of ancestry among Filipinos is often a very touchy subject. 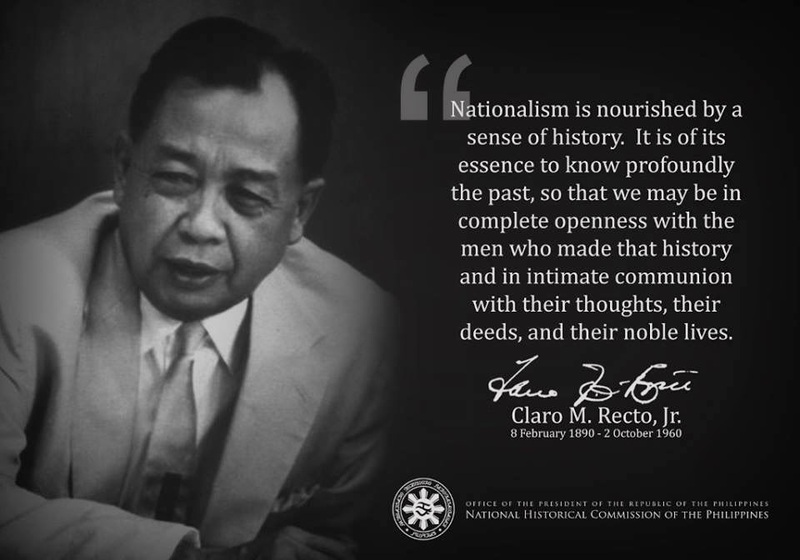 As mentioned earlier regarding the colonial mentality already existent in the Philippines, the trend in the Philippines has always been to place emphasis on any foreign blood, preferably European (Spanish or American) and to exalt it, and when in most cases none was there, to invent it. Many Filipino families have a tradition of handing down oral accounts of the Spanish great-great-grandfather or the mestisa great, great grandmother with no evidence other than a Spanish surname. However, unlike the people of the Hispanic world, of the millions of Spanish-surnamed Filipinos, none but a few families in the Philippines actually bequeathed their Spanish surnames from an actual Iberian ancestor. According to recent Philippine government sources, and past and present census data, the combined number of all types of mestizos constitute no more than 2% of the entire Filipino population. Of that 2%, less than half are of the Spanish variety. Spanish-mestisos are estimated to be around 1% of the entire Philippine population, while Chinese and Chinese-mestiso combined are estimated at around 3%, with the majority of the population (95%) being unmixed Malay. See also Demographics of the Philippines - Ethnic Groups. This is not true to all Filipinos. Maybe to the writer and his range of observations. This colonial mentality is rooted from the fact that through the catholic faith, the "indios" were made to believe they were inferior, that without the Spaniard's religion, we would be "pagans". But look at the crowd in Quiapo, those who led the nazareno's procession in the street....are these christians or pagans using Christ image like an icon? Look at what countries these christians are going to work for as maids? In Hongkong, are they serving christians? In Singapore, are these Filipinos working for christians? Who are the people able to pay the Filipinos higher salaries for their services as domestics in Asia? The Filipinos are dying to be recognized for other than their kapanguan and dark skin. Without much labor and thinking, they thought they can gain this by claiming to be part mistizos. Too bad. I am part mistisos but I never thought once I am no other than anybody but a Filipina. Maybe I am like this because I was not raised in bondaged as a catholic. Why worry about heaven when life here on earth, we still have yet to master? Most Filipinos worry about hell. That's the secret of the catholic faith. Fear of hell had made it easy for them to colonized all the unfortunate Indios of South Americas and my PERLAS OF SILANGAN. Catholic doctrines, which mostly anti-christ, had shut the door for Filipinos to appreciate the faith of other people like the Buddists, the Taoist, and non-biblical religions. We became enslaved with t he "carrot/stick" approach to doing what is right. We do the right thing, not for righteous sake, but for some rewards after this life....no different from the muslim. No wonder, most Filipinos now could not tell a liar from those who are honest. They cannot tell right from wrong even though they claim they are educated. All these talks of what "colonial mentallity" is or not, is beside the point now. Everyone has their own agenda. Sadly, many emanates from a feeling of inferiority complex. They could not go on and do what is needed because they are obsessed with what other people will say or if they will go to heaven or not. They wanted praises and recognition but do not know how to go about real accomplishments. Mr. King, the civil rights leader, had done so by working to gain justice and equality for others, not just blacks. Our Motherland is wallowing in a sea of injustice and lawlessness, with mobs dictating the rules. There are many Filipinos like the one described above in Cebu. I can understand why. Most cebuanos believed the national language should have been visaya or cebuano. I love to watch their frustrations. Not all Filipinos share with this view of the author. And they are many and just don't want to be bothered. They are too busy to be obsessed with such thoughts. Anyways, all those who deny their Filipinoness are busy getting intermarried with foreigners. By third generations, their Filipinoness would be totally erased. Will this not be good for our Perlas ng Silangan? I think it would be good. Let the true Filipinos remained undisturbed. Except for one, I agree with your comments. That is, I do not know whether losing completely our Filipinonese is good. Actually, we may have to expound on this subject. Frankly and personally, physical appearances do not matter to Filipino nationalism (as I have blogged about it). What matters is our honest concern and action to help in whatever small way we can to correct/improve our peoples' predicament. If I may talk about myself, raising our national consciousness as one people and acting towards the common good is the goal. Thus the objective of my blogs. This is aside from other material help, no matter how small, one can do right now: business to provide employment, donation of book/older computers to rural schools, scholarships, helping your favorite NGO or charity, i.e. PREDA, etc. Whether this social consciousness and/or Filipino nationalism may lead to fundamental changes at a snail pace or a bloody revolution remains to be seen; maybe it will not happen during my/your generation. I actually found those two articles also quite amusing. How petty we Filipinos oftentimes can be. Wikipedia does not really give the exact estimates on the Filipino population. Even their pages are with disparity. Some of their pages would claim that 50% of Filipinos have some Chinese ancestry. Some reduce it to 2%. KAISA put the estimates at 10%. In Thailand, it is said that 60% of their celebrities are Luk Kreungs or "Half Thais". But we all know that Thailand was never colonized by any Western power. Many too go for the Luk Kreung look.